At the age of three Sandy Plenty was diagnosed with heart and pulmonary disease. At the age of 11 he was told he would never be able to play any competitive sport again. Mountain biking has strengthened Sandy’s heart to the point where he no longer needs to have a transplant. 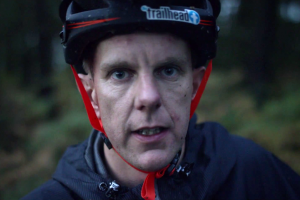 At 36 Sandy continues to defy the odds (and his diagnosis) and continues to live for mountain biking. This video is the first in a series by Sealskinz exploring ordinary people doing extra-ordinary things and we think that Sandy is the perfect example of this. It’s great to see mountain biking make a real change in someone’s life and it makes us realise just how lucky we are to enjoy this wonderful sport.